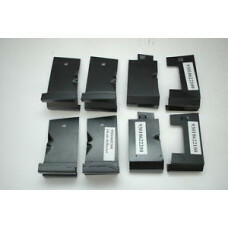 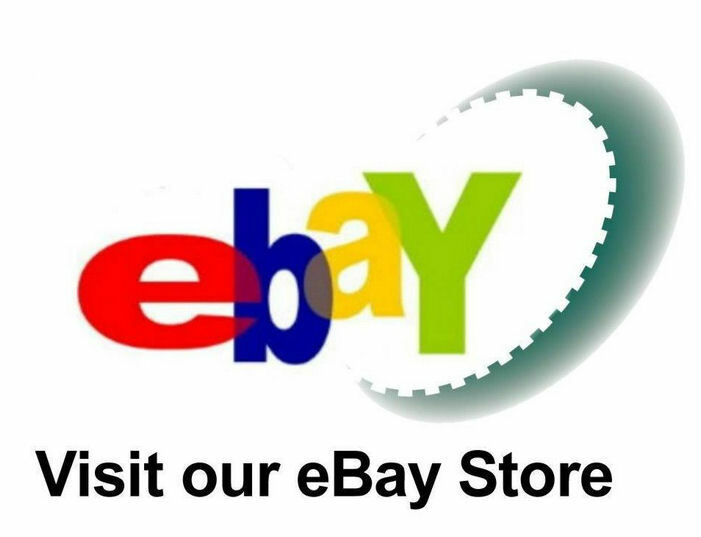 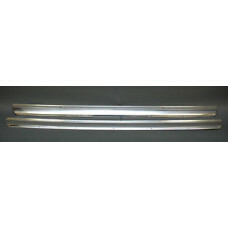 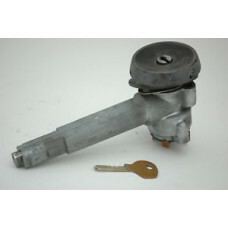 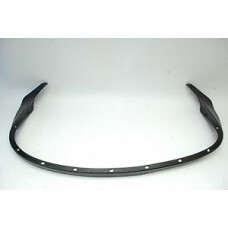 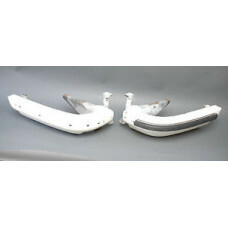 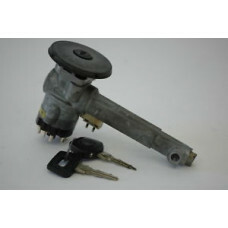 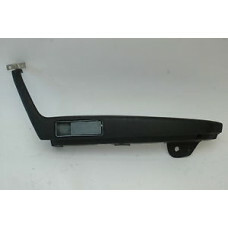 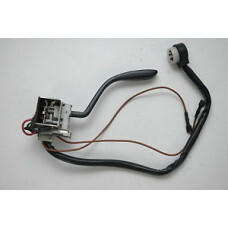 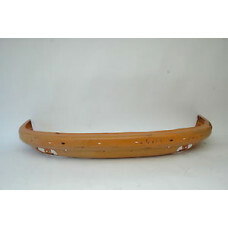 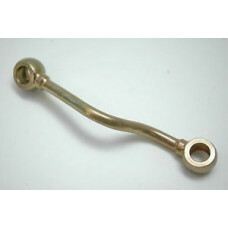 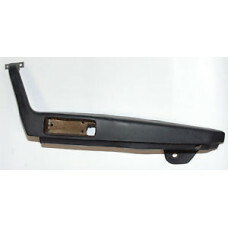 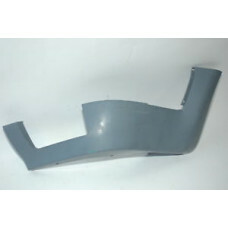 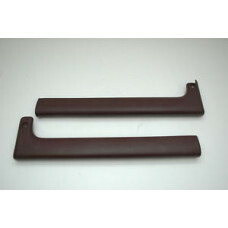 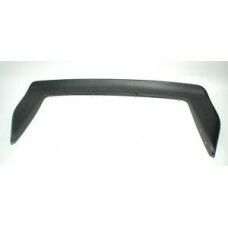 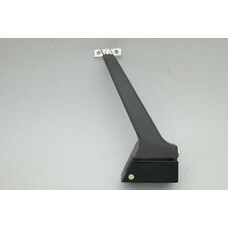 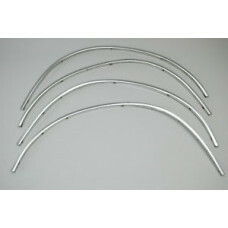 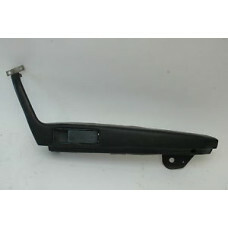 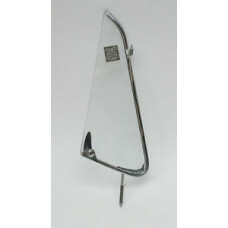 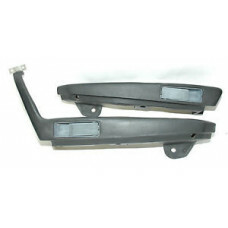 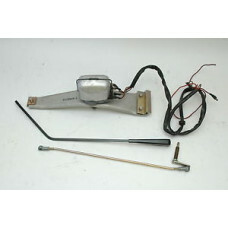 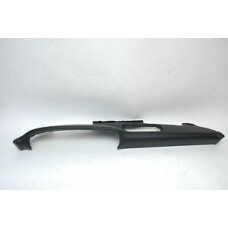 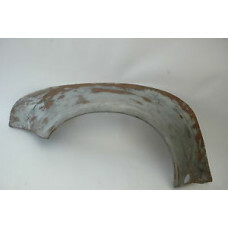 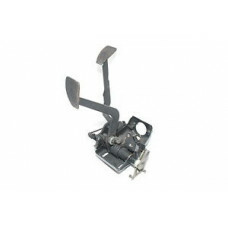 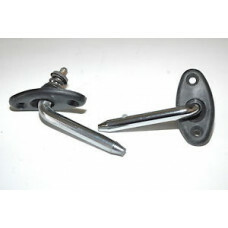 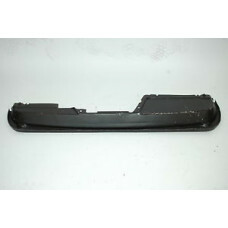 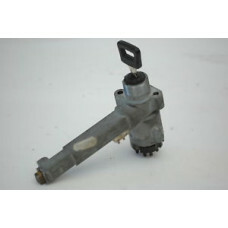 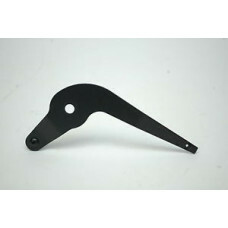 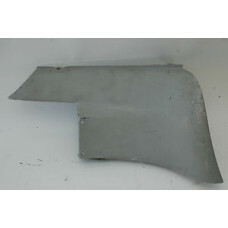 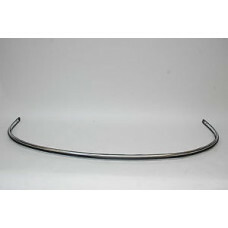 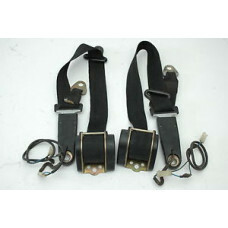 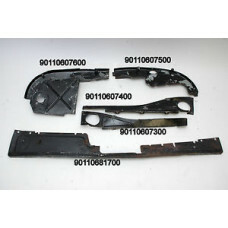 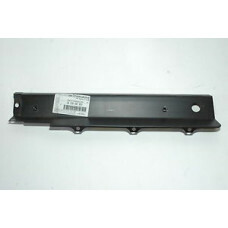 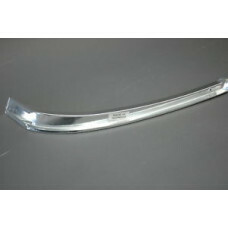 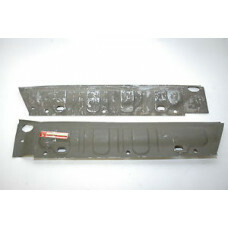 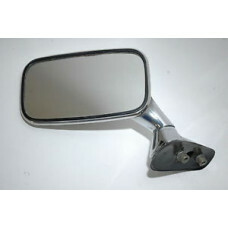 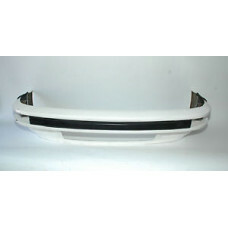 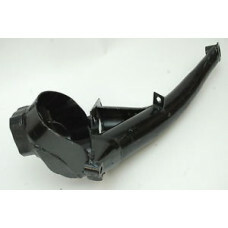 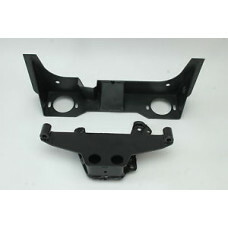 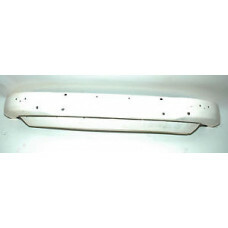 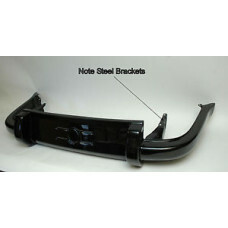 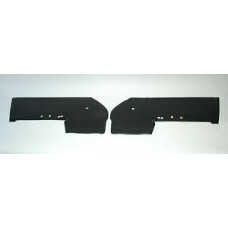 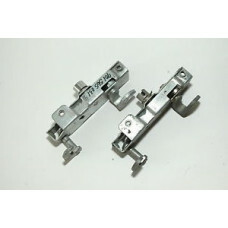 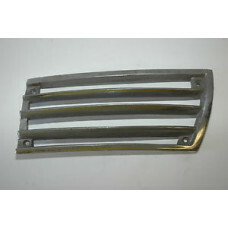 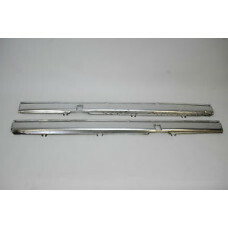 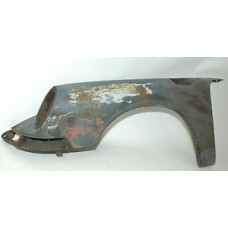 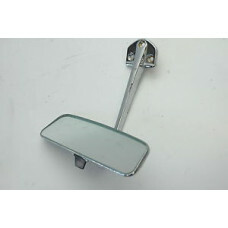 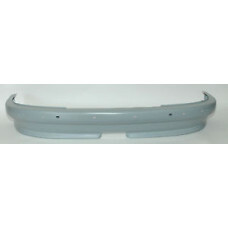 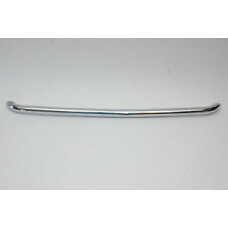 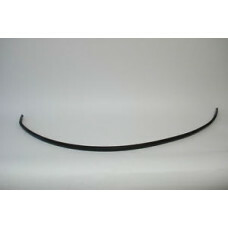 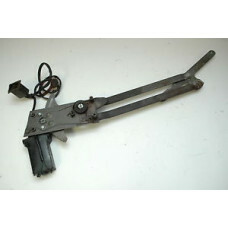 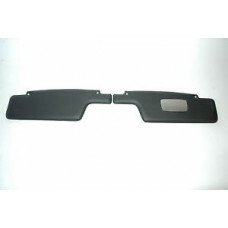 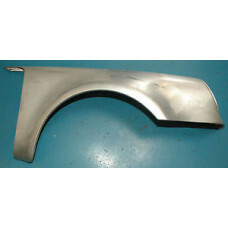 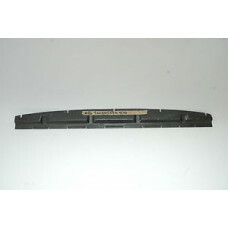 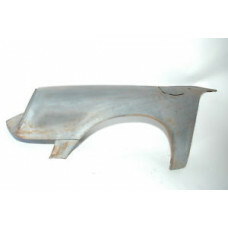 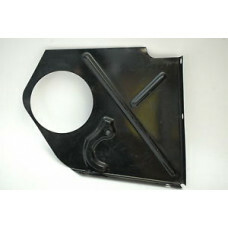 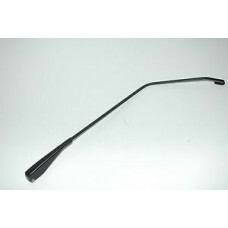 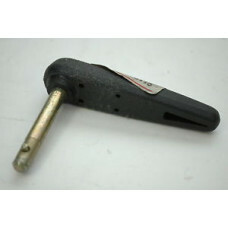 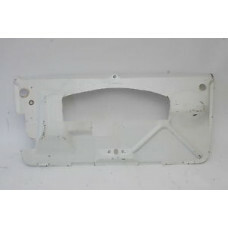 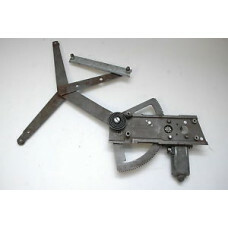 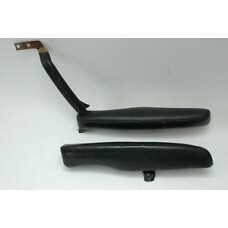 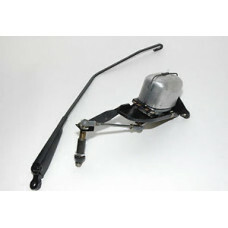 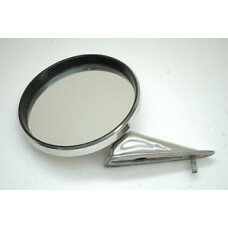 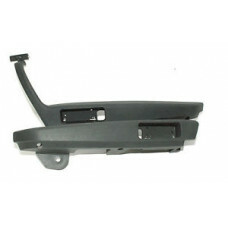 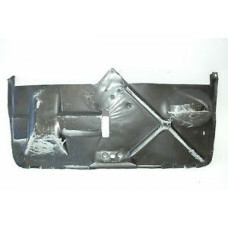 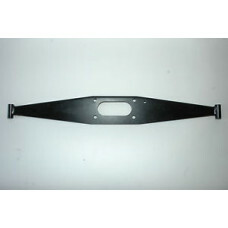 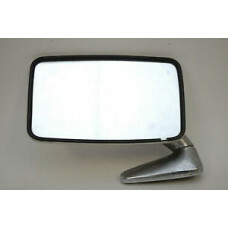 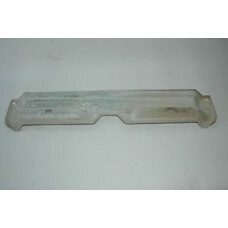 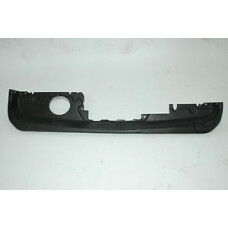 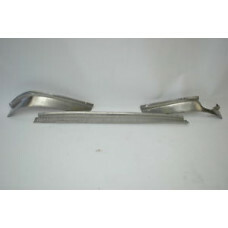 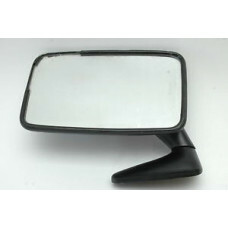 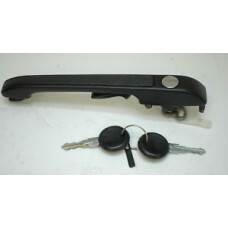 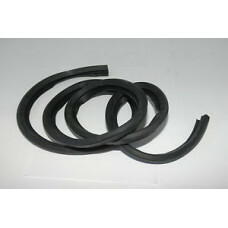 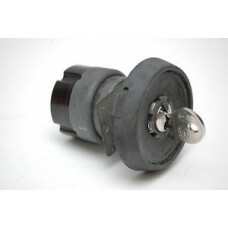 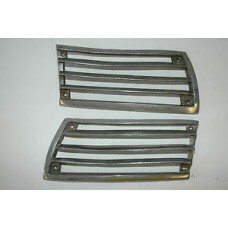 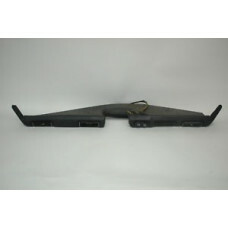 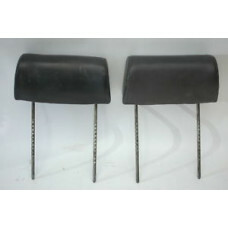 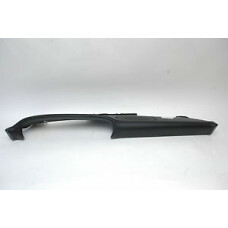 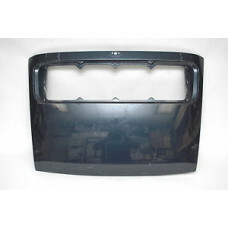 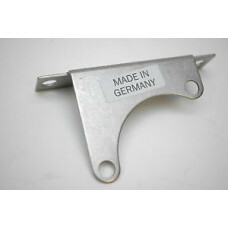 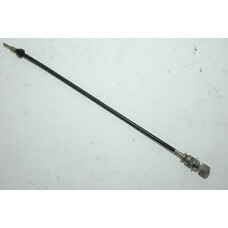 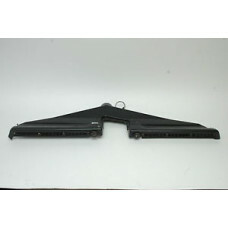 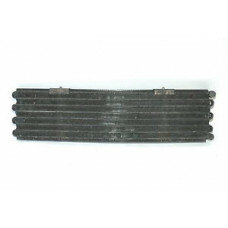 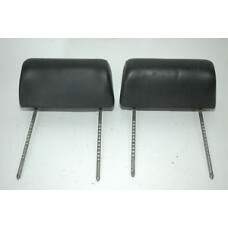 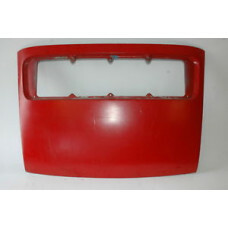 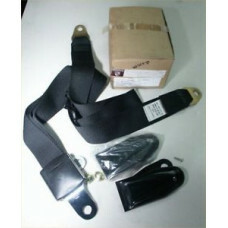 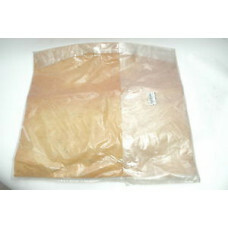 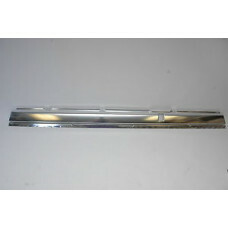 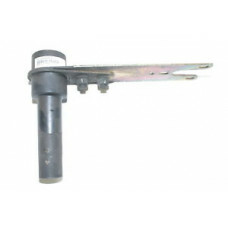 GENUINE PORSCHE PRODUCT USED Porsche 911 930 Rear Wiper 91162801905, includes motor, arm & bracket, sold as pictured Techn..
GENUINE PORSCHE PRODUCT USED Porsche 911 930 Rear Wiper 91162801905, includes motor, arm & bracket, sold as pictured Technical Questions? 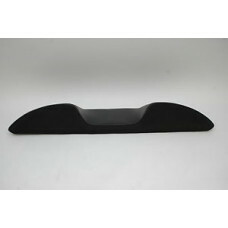 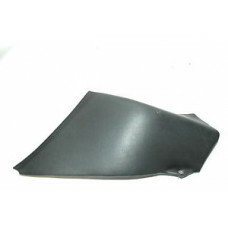 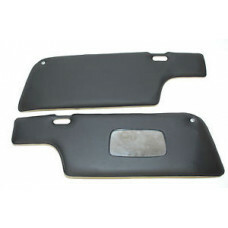 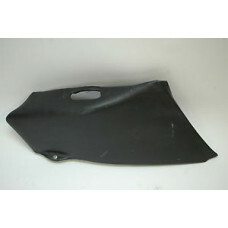 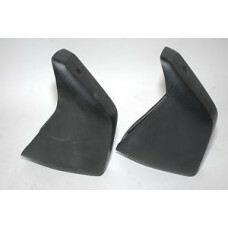 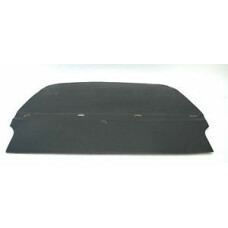 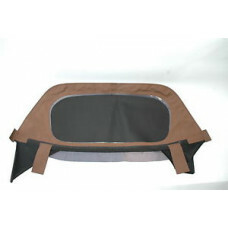 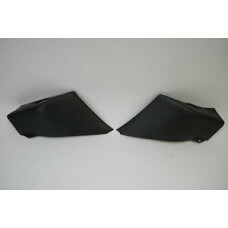 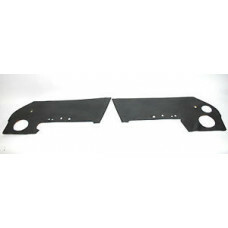 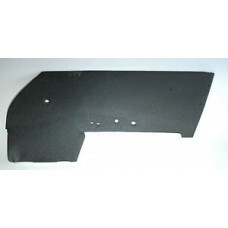 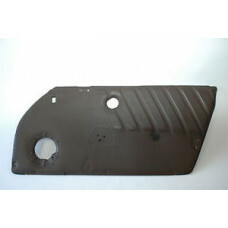 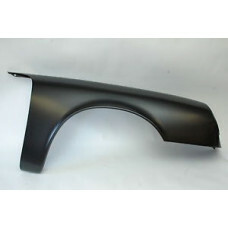 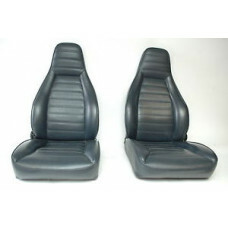 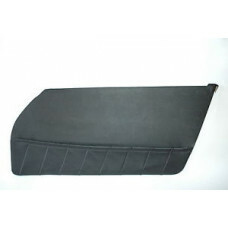 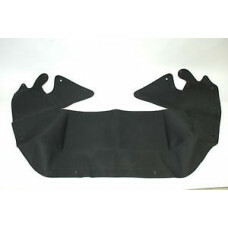 You may contact us @ (323..
GENUINE PORSCHE PRODUCT NEW Porsche 911 930 ROOF Damping Padding Matt Roof Left 91155602301 SS 91155602302 Fitment: ..
GENUINE PORSCHE PRODUCT NEW Porsche 911 930 ROOF Damping Padding Matt Roof Left 91155602301 SS 91155602302 ..
GENUINE PORSCHE PRODUCT Porsche 911 930 Seats Blue Leather 91152100182JM5 Fitment: 1978-1986 911 Note: Shipping is to a commercial ..
GENUINE PORSCHE PRODUCT Used Porsche 911 Spare Tire Filler 91120129101 Fitment: 1984-1989 911 Technical Questio..
GENUINE PORSCHE PRODUCT AS NEW Porsche 911 Sun Visor Hinges 91173131901 SS 96473131900 Fitment: 1974-1989 911 1975..
GENUINE PORSCHE PRODUCT NEW Porsche 930 Sunroof Panel 93056405101 Fitment: 1978-1989 911 / 930 ..
GENUINE PORSCHE PRODUCT New Porsche 911 Fresh Air Vent 91157104101 Fitment: 1978-1989 911 Technical Q..
GENUINE PORSCHE PRODUCT NEW Porsche 911 Tail Ligth Lenses 91163195100 91163195200 *note removed from a NOS ..
GENUINE PORSCHE PRODUCT Used Porsche 911 964 Ignition Switch 96434701701 Fitment: 69-98 911 / 964 / 993 ..
eBay GENUINE PORSCHE PRODUCT Used Porsche 911 964 Ignition Switch 91191301111 SS 96434791701 Fitment: 1969-1998 911 / ..
GENUINE PORSCHE PRODUCT NEW Porsche 911 993 Alternator Air Duct Cover Technical Questions? 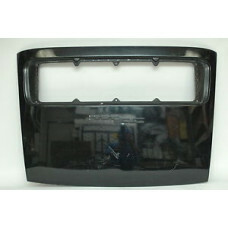 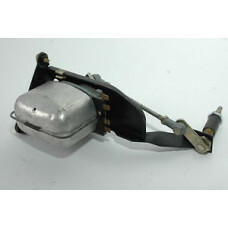 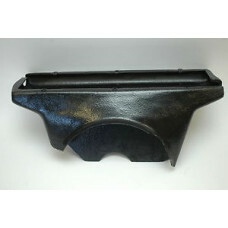 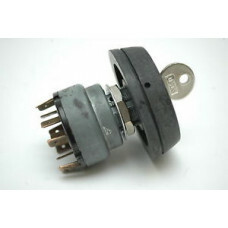 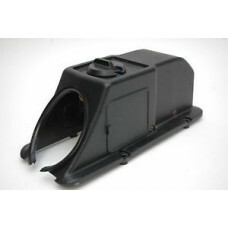 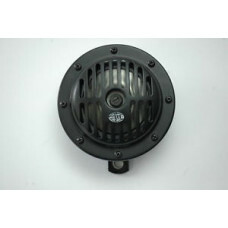 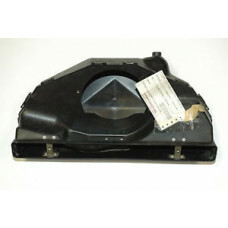 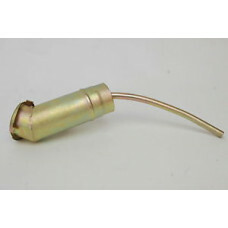 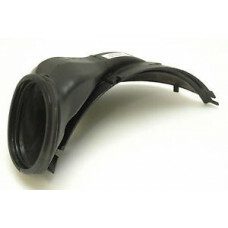 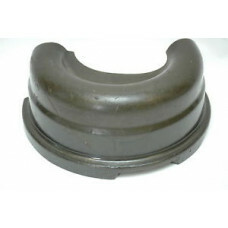 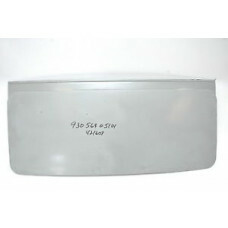 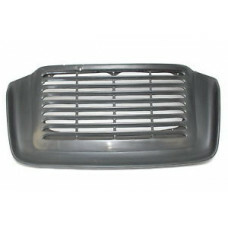 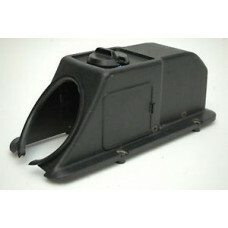 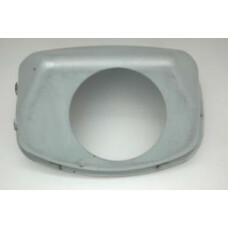 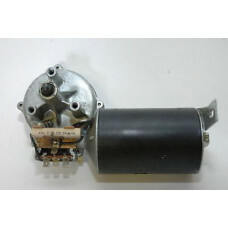 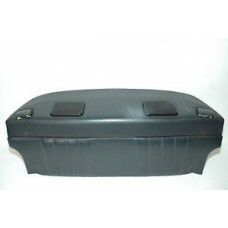 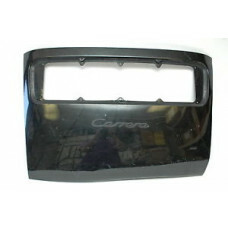 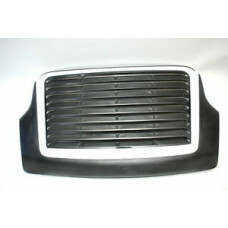 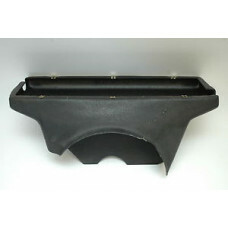 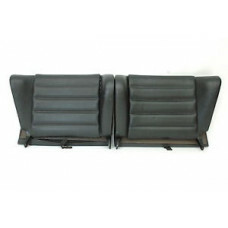 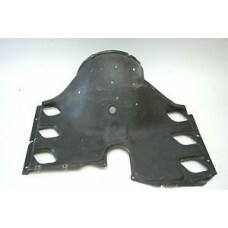 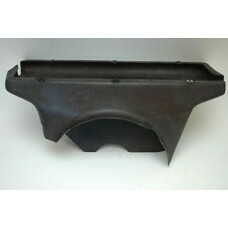 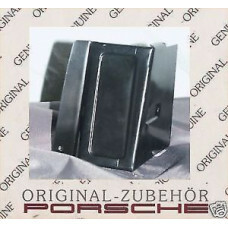 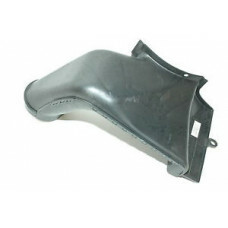 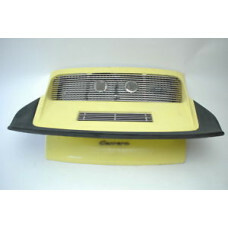 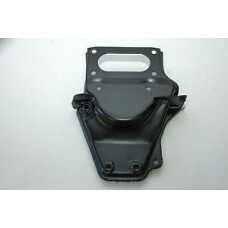 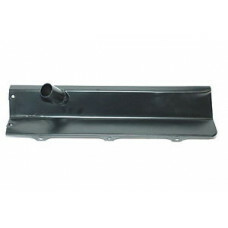 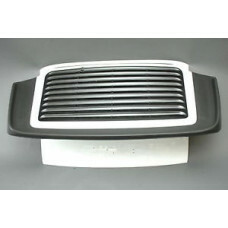 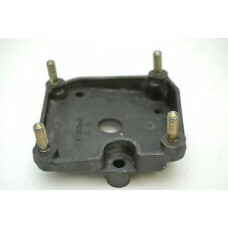 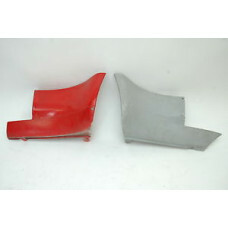 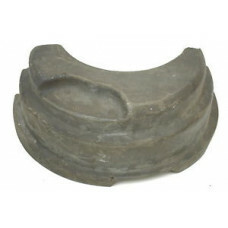 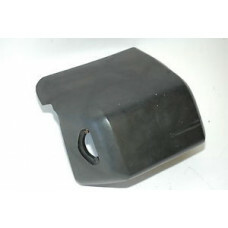 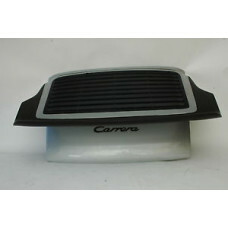 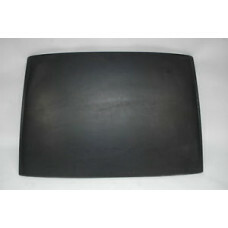 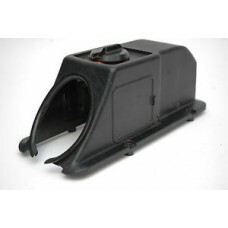 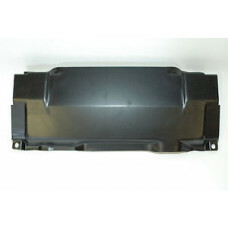 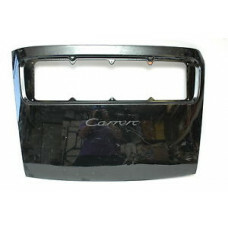 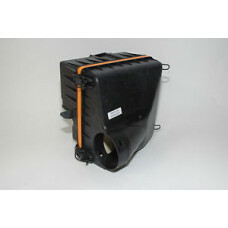 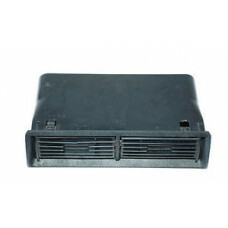 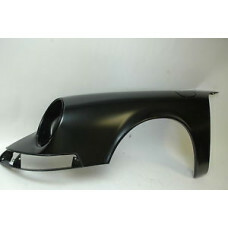 You may contac..
GENUINE PORSCHE PRODUCT NEW Porsche 911 Air Box 3.2 93011034300Fitment:1984-1989 911 Carrera ..
GENUINE PORSCHE PRODUCT Used Porsche 911 AC Condensor 74 90157305700 A SS 91157305702 Fitment: 1970-1977 911 1965-1969 911/912 ..
GENUINE PORSCHE PRODUCT NOS Porsche 911 930 Left Bumper Guard Euro 91150534100 Fitment: 1974-1983 911 1975-1..
GENUINE PORSCHE PRODUCT AS NEW Porsche 911 Convertible Top Cover 911561023603AV SS 911561023602XW Fitment: ..
GENUINE PORSCHE PRODUCT Used Porsche 911 Canvas Top Cabriolet Window 911561053009RA Fitment: 1984-1986 911 &nbs..
GENUINE PORSCHE PRODUCT NEW Porsche 930 Engine tin 93010686103 Fitment: 1984-1989 Porsche 911 &nb..
GENUINE PORSCHE PRODUCT New Porsche 911 Carrera Catalytic Support Bracket 93011319600 Fitment: Tec..
GENUINE PORSCHE PRODUCT NEW Porsche 911 Chin Spoiler 91150399500 Fitment: 1974-1989 911 Technical Que..
GENUINE PORSCHE PRODUCT Used Porsche 911 Mirror Black 91173101700 Fitment: 1974-1977 911 Technical Qu..
GENUINE PORSCHE PRODUCT Used Porsche 911 Mirror Chrome 2 91173101700 Fitment: 1974-1977 911 Technical..
GENUINE PORSCHE PRODUCT Used Porsche 911 Mirror Chrome 91173101700 Fitment: 1974-1977 911 ..
GENUINE PORSCHE PRODUCT Porsche 911 Carrera Mirror Left Front 91173101700 Note gasket issues Fitment: 1974-1977 911 &nb..
GENUINE PORSCHE PRODUCT Used Porsche 911 Carrera Rear Spoiler Heat Shield 91151216501 A Fitment: 1974-1983 911 ..
GENUINE PORSCHE PRODUCT NOS Porsche 911 RS Trailing Arm Short 91133105310 Fitment: 1973 Porsche 911RS Tech..
GENUINE PORSCHE PRODUCT AS NEW Porsche 911 RS Lightweight Rear Bumper Black 91150502012 ..
GENUINE PORSCHE PRODUCT Used Porsche 911 Carrera Tail and Spoiler Yellow 75 91151201007 Reproduction Note: removab..
GENUINE PORSCHE PRODUCT Used Porsche 911 Carrera Tail 91151290900 Fitment: 1984-1989 911 &n..
GENUINE PORSCHE PRODUCT Used Porsche 911 Carrera Whale Tail Rear Spoiler 91151290900 & Deck Lid 91151201056 ..
GENUINE PORSCHE PRODUCT Used Porsche 911 Dash Knee Pads Burgundy Knee Pads 911552069003MX 911552070003MX Fitment: 1984..
GENUINE PORSCHE PRODUCT Used Porsche 911 Deck Lid 91151201010 SS 91151290301 NOTE: cabriolet version drilled for thired brake ligh..
GENUINE PORSCHE PRODUCT USED Porsche 911 Deck Lid Grill 91155941100 SS 91155941101 Fitment: 1974-1989 911 197..
eBay GENUINE PORSCHE PRODUCT Used Porsche 911 Deck Lid Grill Issues 91155941100 SS 91155941101 ..
GENUINE PORSCHE PRODUCT NEW Porsche 911 Deck Lid 91151201065GRV Fitment: 1984-1989 911 Technical Qu..
GENUINE PORSCHE PRODUCT Used Porsche 911 Deck Lid USED 2 91151201065GRV Fitment: 1984-1989 911 ..
GENUINE PORSCHE PRODUCT Used Porsche 911 Deck Lid Used 91151201056 SS 91151201065GRV Fitment: 1970-1986 ..
GENUINE PORSCHE PRODUCT Used Porsche 911 Deck Lid Used 91151201056 SS 91151201065GRV 2 Fitment: 1970-1986 911 1975-1977 911T &..
GENUINE PORSCHE PRODUCT Used Porsche 911 Deck Lid USED 91151201065GRV Fitment: 1984-1989 911 Technica..
GENUINE PORSCHE PRODUCT Used Porsche 911 Door Panel 69-71 90155503204 Fitment: 1970-1971 911 1969 911/912 Technical Questi..
GENUINE PORSCHE PRODUCT Used ORIGINAL Porsche 911 Door Panel 73 Smooth 91155503105 91155503205 Fitment: 1972-1..
GENUINE PORSCHE PRODUCT Used Porsche 911 Door Panel 69 to 71 Basket Weave 90155503102 90155503204 Fitment: 197..
GENUINE PORSCHE PRODUCT Used Porsche 911 Door Panels Blue Leather 91155593150KZ3 91155593250KZ3 Fitment: 1978-..
GENUINE PORSCHE PRODUCT Used Porsche 911 Durant Mirror 90173111101 SS 901731111021 Diameter is 5.0" Fitment:&n..
GENUINE PORSCHE PRODUCT Used Porsche 911 Early Speedometer Reset Cable 90174119122 Fitment: 1970-1977 911 1..
GENUINE PORSCHE PRODUCT Used Porsche 911 Ignition Lock and Key 90161301300 Spade Fitment: 1965-1969 911/912 Tec..
GENUINE PORSCHE PRODUCT Used Porsche 911 Ignition Lock and Key 90161310110 Bullet Fitment: 1965-1969 911/912 Tech..
GENUINE PORSCHE PRODUCT NEW Porsche 911 Engine Air Duct 3.2 New 93021132301 Fitment: 1984-1989 Porsche 911 ..
GENUINE PORSCHE PRODUCT NEW Porsche 911 Engine Tin MFI Left 90110608302 Fitment: 1969-1971 Porsche 911 &n..
GENUINE PORSCHE PRODUCT Used Porsche 911 Porsche Engine Shroud Black 91110690100 Fitment: 1970-1973 911 1970-1976 914-6 ..
GENUINE PORSCHE PRODUCT Porsche 911 Engine Cradle 91111501403 Fitment: 1970-1983 Porsche 911 1965-1969 Porsche 911..
GENUINE PORSCHE PRODUCT New Porsche 911 Fender 91150303110 SS 91150303110GRV Fitment: 1974-1..
GENUINE PORSCHE PRODUCT Used Porsche 911 Fender 91150303110GRV Fitment: 1978-1983 911 Tec..
GENUINE PORSCHE PRODUCT NEW Porsche 911 Fender R 91150303211GRV Fitment: Porsche 911 74-89 Technical Questio..
GENUINE PORSCHE PRODUCT Used Porsche 911 Fender Left 91150303104 Fitment: 1974-1977 911 ..
GENUINE PORSCHE PRODUCT Used Porsche 911 Front Engine Tin 3.2 93010608518 SS 93010608520 Fitment: 1987-1989 911 &nb..
GENUINE PORSCHE PRODUCT Used Porsche 911 Front Engine Tin 90110608505 Fitment: 1970-1977 911 1965-1969 911/912 &nb..
GENUINE PORSCHE PRODUCT NEW Porsche 911 Headlight Bezel Ring 91163113301 Fitment: 1974-1977 911 1975-1977 911T &nb..
GENUINE PORSCHE PRODUCT Used Porsche 911 Headlight Ring Sugar Scoop 90163110205 Fitment: 1970-1977 911 1975-1977 91..
GENUINE PORSCHE PRODUCT Used 911 Hella Horn Fitment: Technical Questions? 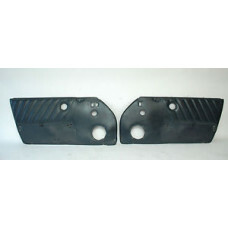 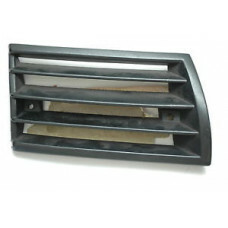 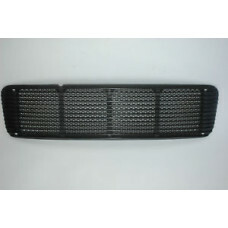 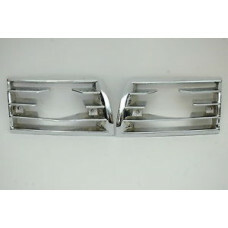 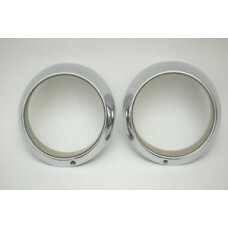 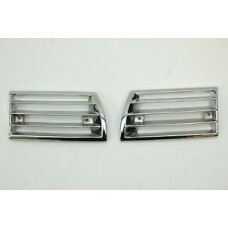 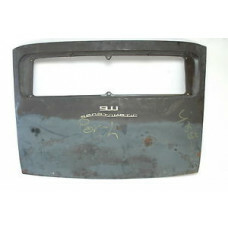 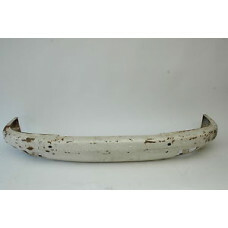 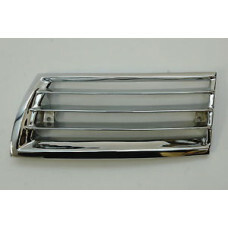 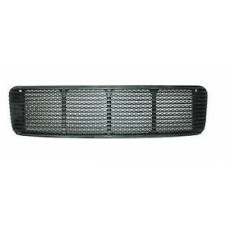 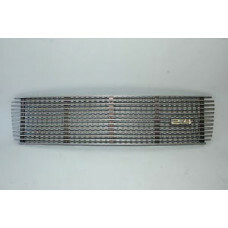 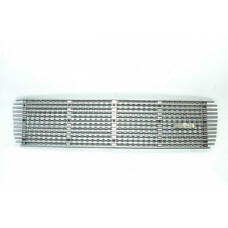 You m..
GENUINE PORSCHE PRODUCT Restored Porsche 911 Horn Grill SWB 2 Hole 90155943123 Fitment: 65-6..
GENUINE PORSCHE PRODUCT Used Porsche 911 Horn Grills Cut Out For Fogs 90155943128 90155943228 SS 91155943104 Fitment: ..
GENUINE PORSCHE PRODUCT Restored Original* Porsche 911 Horn Grills Pair Chrome 90155943127 90155943227 Fitment: 1969-1973 ..
GENUINE PORSCHE PRODUCT Porsche 911 Interior Grab Door Handle 911555097018WR finished in Classic Grey Fitment: 1989-1994 ..
GENUINE PORSCHE PRODUCT Used Porsche 911 Interior Grab Handle R 1 90155504223 SS PCG55504223 Fitmen..
GENUINE PORSCHE PRODUCT Used Porsche 911 Package Tray Coupe Blue Fitment: 87-89 911 / 930 Coupe ..
GENUINE PORSCHE PRODUCT NEW Porsche 911 Rear Bumper Valance Fiberglass 93050511201 91150517108, excellent quality Fitment: 1..
GENUINE PORSCHE PRODUCT Used Porsche 911 Rear Bumper Early Pr 90150502121 90150502221 SS 91150502102GRV "S" bumper deco trim includ..
GENUINE PORSCHE PRODUCT Used Porsche 911 Bumper Guard Euro 91150534200 Fitment: 1974-1983 91..
GENUINE PORSCHE PRODUCT Used Porsche 911 Rear Jumpseats Blue 911522005264AU 911522017001HH Fitment: 1978-1983 911 ..
GENUINE PORSCHE PRODUCT Used Original Porsche 911 Rear Package Tray 69 to 71 Used 90155507522 Fitment: 1969-1971 911 / 912..
GENUINE PORSCHE PRODUCT USED Porsche 911 Rear Jump Seats finished in Black Leather 91152201703KZ2 91152201803KZ2 Fitment: 74..
GENUINE PORSCHE PRODUCT Used Porsche 911 Rear Wiper Assembly 91162801905 Wiper 91162861301 Fitment:..
GENUINE PORSCHE PRODUCT Used Porsche 911 Rocker Panel Aluminium Early 74 Fitment: ..
GENUINE PORSCHE PRODUCT New Porsche 911 Rocker Panel Trim - Aluminium Polished 91155911403 NOS /R Fitment: 1974-1977..
New Genuine Porsche Dead Pedal, as installed on several of the Factory Werks Cars Technical Question..
GENUINE PORSCHE PRODUCT NEW Genuine Porsche 911 RS S E T Interior Grab Handle, Details: current production from Porsche AG, note slight variation ..
GENUINE PORSCHE PRODUCT Used Porsche 911 RSR Fender Left 91150303104 5 Fitment: 74-89 911 ..
NEW Porsche 911 S Bumper Aftermarket BLEM 91150501106GRV SS 91150501107GRV ALL Metal Construction Fitment: 1970-1973 911, see images ..
GENUINE PORSCHE PRODUCT NEW Porsche 911 S Front Bumper 91150501107GRV Fitment: Porsche 911 / 912 69 to 73 Te..
GENUINE PORSCHE PRODUCT Used Porsche 911 SWB Arm Rests 90155504320 90155504420 Fitment: 1965-1969 911/912 ..
GENUINE PORSCHE PRODUCT New Porsche 911 S Wide Deco Front Seal 90150540551 Fitment: 1970-1973 911 1965-1969 911/912 ..
GENUINE PORSCHE PRODUCT Used Porsche 911 SC Door Panel Brown Leather 9115550328740A Fitment: 1978-1983 911 ..
GENUINE PORSCHE PRODUCT Used Porsche 911 SC Deck Lid 91151201056 SS 91151201065GRV Fitment: 1970-1986 911 1975-1977 9..
GENUINE PORSCHE PRODUCT Used Porsche 911 Spare Tire Filler Gray 91120129101 Fitment: 1974-1986 911 1975-1977 911T ..
GENUINE PORSCHE PRODUCT NEW Porsche 911 Speedster Front Valance 93050339100 Fitment: 1989 911 Speedster &nb..
GENUINE PORSCHE PRODUCT Used Porsche 911 Steering Wheel Cover Butterfly 91461380512 SS 91461380512 Fitment: 1970-1973 .. 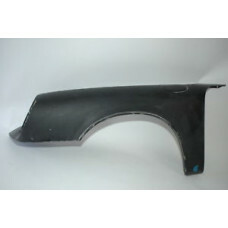 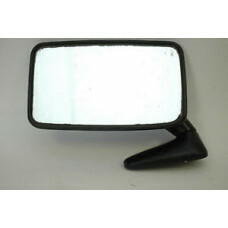 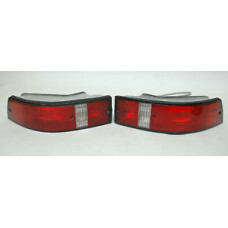 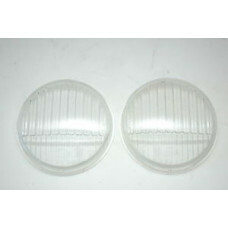 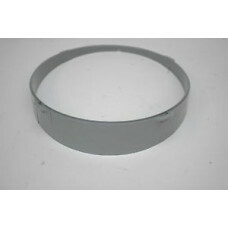 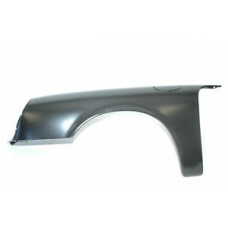 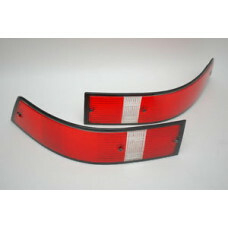 Item specifics Condition: Used Brand: P..
GENUINE PORSCHE PRODUCT Used Porsche 911 Visors Blue Coupe 91173103135TS3 91173103235TS3 Overall condition very very good Fitme..
GENUINE PORSCHE PRODUCT NEW 911 Visors Coupe Black White 91173103102 91173103202 Fitment: 1969-1973 911 ..
GENUINE PORSCHE PRODUCT New Porsche 911 Suspension Reinforcement 90150142721 Fitment: 65-89 911 / 912 all versions &nb..
GENUINE PORSCHE PRODUCT Used ORIGINAL Porsche 911 Deck Lid 67 Black CONDITION ROUGH Techni..
GENUINE PORSCHE PRODUCT NEW Porsche 911 SWB Deck Lid Bolt 90155945121 sale is for EIGHT units Fitm..
GENUINE PORSCHE PRODUCT Used Porsche 911 Short Wheel Base Decklid Grill 90155904121 B Fitment: ..
GENUINE PORSCHE PRODUCT Used Porsche 911 SWB Door Panel Original 90155503220 /R Fitment: 1965-1968 911/912 ..
GENUINE PORSCHE PRODUCT Used Porsche 911 SWB Horn Grille Left and Right issues 4 Hole 90155943127 90155943227 NOTE: ne..
GENUINE PORSCHE PRODUCT Used Porsche 911 SWB Horn Grille SWB Left Side 4 Hole 90155943127 Note: Needs rechroming &nbs..
GENUINE PORSCHE PRODUCT Used Porsche 911 SWB Rear View Mirror Break Away 91473101411 SS 91473101412 F..
GENUINE PORSCHE PRODUCT New Porsche 911 Oil Inlet Cup 91150307601 Fitment: 1970-1973 911 &n..
GENUINE PORSCHE PRODUCT Rebuilt Porsche 911 915 Pedal Assemblyfitment: 72-77 911 with 915 trans, non po..
GENUINE PORSCHE PRODUCT Used Porsche 911 Bumper Guards Front 91150500703 91150500803 Fitment: 1973 911 ..
GENUINE PORSCHE PRODUCT Used Porsche 911 T E S Bumper Guard Front AC Version 91150500703 91150500803 Fitment: 1973 911 T E..
GENUINE PORSCHE PRODUCT USED Porsche 911 Bumper Guard Rear 73 91150503106 Pair Fitment: 1973 ..
GENUINE PORSCHE PRODUCT Used Porsche 911 Bumper Guards Rear Pair 91150503206 91150503106, one year ONLY Fitment: 1973 911 ..
GENUINE PORSCHE PRODUCT Used Porsche 911 T E S Deck Lid Grill 73 91155904102 Fitment: 1970-1973 911 T E S & 912 Note: Iss..
GENUINE PORSCHE PRODUCT Used Porsche 911 Deck Lid Red Blue 73 91151201010 SS 91151290301 Fitment: 1970-1973 911 196..
GENUINE PORSCHE PRODUCT Restored Porsche 911 Oil Tank Neck 90110764002 & Cap 90120127100 Fitment: 1965-1971 Porsche 911, al..
GENUINE PORSCHE PRODUCT Used Porsche 911 Fender Trim SET 90155912551 90155912651 90155912651 90155912851 SS PCG90155900 Fi..
GENUINE PORSCHE PRODUCT Used Porsche 911 Lower Dash AC Vent 90157306500 Fitment: 1970-1977 911 1975-1977 911T 1965-1..
GENUINE PORSCHE PRODUCT Used Porsche 911 Rear Speaker Enclosure Clover Fitment: Te..
GENUINE PORSCHE PRODUCT NEW Porsche 911 Rocker Panel End Cap 90155911350 Fitment: 1970-1973 911 1965-1969 911/912 ..
GENUINE PORSCHE PRODUCT NEW Porsche Porsche 911 Rocker Panels Early 90155910553 Fitment: 1970..
GENUINE PORSCHE PRODUCT Used Porsche 911 Muffler Skirt 90150590400 Fitment: 1970-1973 911 1..
GENUINE PORSCHE PRODUCT New Porsche 911 Rear Protection Bar 90250534095 Fitment: 1969-1973 911 all versions CONDITI..
GENUINE PORSCHE PRODUCT NEW Porsche 911 T E S RS Bumper Brackets FRONT 90150503700 Sale is for TWO units Fitment: 1970-1973 Po.. 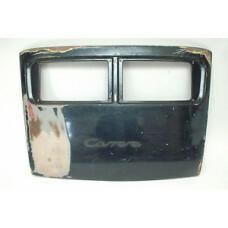 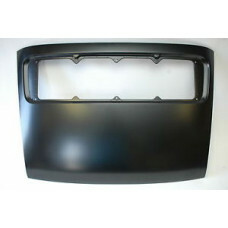 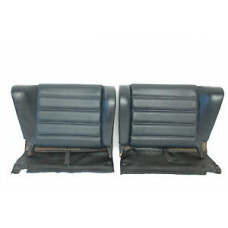 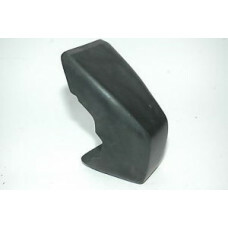 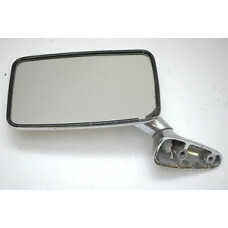 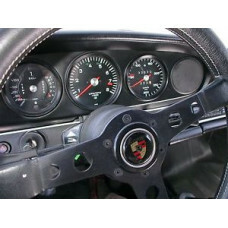 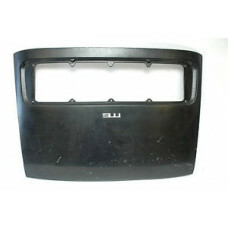 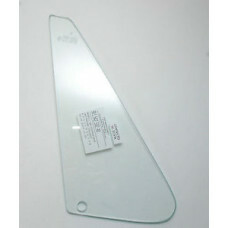 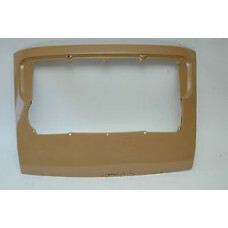 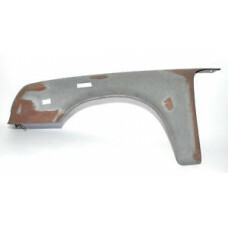 Item specifics Condition: New Brand: PO..
GENUINE PORSCHE PRODUCT New Porsche 911 T E S RS Dash Dashboard 91155203104709 Fitment: 1969-1977 911 / 912 ..
GENUINE PORSCHE PRODUCT New Porsche 911 T E S RS Dash Dashboard 91155203104709 No Speaker Grill Fitment: 1969-1977 9..
GENUINE PORSCHE PRODUCT Used Porsche 911 Decklid Grill 91155904102 D Fitment: 1970-1973 911 ..
GENUINE PORSCHE PRODUCT Used Porsche 911 Decklid Grill 91155904102 A Fitment: 1970-1973 911 ..
GENUINE PORSCHE PRODUCT Used Porsche 911 Decklid Grill 91155904102 C Fitment: 1970-1973 911 ..
GENUINE PORSCHE PRODUCT Used Porsche 911 Decklid Grill 91155904102 E Fitment: 1970-1973 911 ..
GENUINE PORSCHE PRODUCT Used Porsche 911 Decklid Grill 91155904102 F Fitment: 1970-1973 911 ..
GENUINE PORSCHE PRODUCT Used Porsche 911 Decklid Grill 91155904102 G Fitment: 1970-1973 911 ..
GENUINE PORSCHE PRODUCT USED Porsche 911 Grab Handle Right Side 90155504123 Fitment: 911 1969-1973 Technical Questions..
GENUINE PORSCHE PRODUCT Used Porsche 911 T E S RS Early Rear Seat Belt Cover 91155506901 Fitment: 1970-1973 911 1965-1969..
GENUINE PORSCHE PRODUCT Used 911 T E S RS Early Rear Seat Belt Cover Pair 91155506901 91155507001 Fitment: 1970-1973 911 1965-1969 9..
GENUINE PORSCHE PRODUCT Used Porsche 911 Window Regulator Power R 91154200425, power window motor & harness included Fitm..
GENUINE PORSCHE PRODUCT NOS Porsche 911 T E S RS Fog Light Lens Clear 90163121104 Fitment: 69-73 911 / 912 ..
GENUINE PORSCHE PRODUCT NEW Porsche 911 Fender Left 90150303123GRV SHIPPED TRUCK FREIGHT TO A COMMERCIAL ADDRES..
GENUINE PORSCHE PRODUCT NEW Porsche 911 Front Suspension Cover 91134116100 Fitment: 1970-1973 Porsche 911 / 912 1965-1969 Po..
GENUINE PORSCHE PRODUCT NEW Porsche 911 T E S RS Hand Throttle Lever 90142403700 Fitment: 1970-1977 911 1965-1969 911/912..
GENUINE PORSCHE PRODUCT Used Porsche 911 Head Rests Early 91152108600 Fitment: 1970-1973 911 1965-1969 911/912 ..
GENUINE PORSCHE PRODUCT NOS Porsche 911 Horn Grill /R 91155943203 Fitment: 1972-1973 911 / 912 All Versions &nbs..
GENUINE PORSCHE PRODUCT Used Porsche 911 Ignition Switch Early Spade Type 90161310100 SS 90161310101 Fitment: 1965-1..
GENUINE PORSCHE PRODUCT Used Porsche 911 Interior Grab Handle Arm Rest 90155504223 SS PCG55504223 A Excellent Condition NO Warpage ..
GENUINE PORSCHE PRODUCT Used Porsche 911 Interior Grab Handle Arm Rest 90155504223 SS PCG55504223 B Excellent Condition no warpage &..
GENUINE PORSCHE PRODUCT Used Porsche 911 Grab Handles Early 90155504125 90155504123 Overall Condition very good minor warpage Fit..
GENUINE PORSCHE PRODUCT Used Porsche 911 MFI Engine Tin Right Rear 90110607101 Fitment: 1970-1977 911 1965-1969 911..
GENUINE PORSCHE PRODUCT Used Porsche 911 MFI Pump Bracket 90111002700 Fitment: 1970-1977 911 1965-1969 911/912 &nb..
GENUINE PORSCHE PRODUCT Used Porsche 911 Mirror 73 91173101300 Fitment: 72-73 911, note minor chrome pitting on base, see image..
GENUINE PORSCHE PRODUCT Porsche 911 Rear Windshield Wiper 90162806101 note: harness & motor are USED Fitment: 1970-19..
GENUINE PORSCHE PRODUCT NOS Porsche 911 T E S RS Rocker Panel Inner Structure NOS 91150112303 91150112403 Fitment: 1969-86 911 ..
New Genuine Porsche Dead Pedal, as installed on several of the Factory Werks Cars Techni..
GENUINE PORSCHE PRODUCT Used Porsche 911 Seat Belt Cover 73 90155507000 Right Fitment: 69-73 911 / 912 All Versions &nbs..
GENUINE PORSCHE PRODUCT New Porsche 911 Seat Belt Early 91180301546 Fitment: 1970-1973 911 ..
GENUINE PORSCHE PRODUCT Used Porsche 911 Seat Belts 91180301100Early 73 Buckle 91180312700 Fitment: ..
GENUINE PORSCHE PRODUCT Used Porsche 911 Sport Seat Headrests 91152108600 Fitment: 1970-1973..
GENUINE PORSCHE PRODUCT Original Used 65-67 Porsche 911 Short Wheel Base Fender L 90150303122 Note: removed from a dry car, photos make..
GENUINE PORSCHE PRODUCT NOS Porsche 911 Targa Door Seals 90253109340 Note: Sale is for two units ..
GENUINE PORSCHE PRODUCT New Porsche 911 T E S Targa Sun Visors 91173103145 91173103245 Fitment: 1970-1977 911 Targa ..
GENUINE PORSCHE PRODUCT Used Porsche 911 Targa Top Handle Early 91156507541 Fitment: 1970-1977 911 Te..
GENUINE PORSCHE PRODUCT NOS Porsche 911 Wiper Motor 90162801601 Fitment: &..
GENUINE PORSCHE PRODUCT Used Porsche 911 Front Bumper 71 Yellow 90150501121 SS 91150501105GRV Fitme..
GENUINE PORSCHE PRODUCT Used Porsche 911 Front Bumper 71 White 90150501121 SS 91150501105GRV Fitment: 1970-1973 911 ..
GENUINE PORSCHE PRODUCT NEW Porsche 911 T Front Bumper Trim Deco 90150504132 Fitment: 1970-1973 911 1965-1969 911/9..
GENUINE PORSCHE PRODUCT NOS Porsche 911 Tail Light Assembly 90163194100 & USA Lens 91163140331 Fitment: 1969-1989 911 / 930 1975-..
GENUINE PORSCHE PRODUCT New Porsche 911 Targa Top Handle 91156507541 Fitment: 1970-1986 911 Technical..
GENUINE PORSCHE PRODUCT Used Porsche 911 Targa Top Latch 90156503141 91156503141 NOTE: sale is for ONE unit Fitment: 1970-1986..
GENUINE PORSCHE PRODUCT New Porsche 911 Under Dash AC 90157306500 Fitment: 1970-1977 911 1965..
eBay GENUINE PORSCHE PRODUCT New Porsche 911 Vent Window SWB Coupe Clear 90154205226 Fitment: 1..
GENUINE PORSCHE PRODUCT Used Porsche 911 Power Window Regulator L 91154200328 Fitment: 78-86 911 /..
GENUINE PORSCHE PRODUCT Used Porsche 911 Window Regulator Power R 91154200425, power window motor & harn..
GENUINE PORSCHE PRODUCT NEW Porsche 911 Wing Window Clear Targa 90154250240, note mo..
eBay GENUINE PORSCHE PRODUCT New Porsche 914 Roll Bar Moulding Sil Left 91455910110 Fitment: 1970-1976 914-6 &..
eBay GENUINE PORSCHE PRODUCT New Porsche 914 Roll Bar Moulding Sil Left 91455910110 A Fitment: 1970-1976 914-6 ..
eBay GENUINE PORSCHE PRODUCT New Porsche 914 Roll Bar Moulding Sil Right 91455910210 Fitment: 1970-1976 914-6 ..
eBay GENUINE PORSCHE PRODUCT New Porsche 914 Roll Bar Moulding Sils 91455910110 91455910210 Fitment: 1970-1976 ..
GENUINE PORSCHE PRODUCT Used Porsche 914 Roof 91456390111 Fitment: 1970-1976 914 Technica..
GENUINE PORSCHE PRODUCT NEW Porsche 914-6 Engine Mount Patrick Motorsports Fitment: 1970-1976 914-6 ..
GENUINE PORSCHE PRODUCT NEW Porsche 914-6 Engine Mount Set Fitment: 1970-1976 914-6 ..
GENUINE PORSCHE PRODUCT Used Porsche 914-6 Engine Tin 90110607500 Fitment: 1970-1972 914-6 Technical Ques..
GENUINE PORSCHE PRODUCT Used Porsche 914-6 Engine Tin Sheet Metal 90110681700 90110607400 90110607300 901106 ..
GENUINE PORSCHE PRODUCT New Porsche 924 Door Handle 477837037B B Note: fitment is both right & left &n..
GENUINE PORSCHE PRODUCT NEW Porsche 928 Pipeline Cylinders 1-4 92810521304 Fitment: 1987-1995 928 ..
GENUINE PORSCHE PRODUCT New Porsche 928 Wiper Arm Drivers Side 92862821306 Fitment: 1978-1986 ..
GENUINE PORSCHE PRODUCT New Porsche 911 930 Rear Spring Plate SS 91133300906 Fitment: 1989 930 Technical Question..
GENUINE PORSCHE PRODUCT Used Porsche 911 Carrera Wiper Switch 91161330600 SS 91161330602 Fitment: ..
GENUINE PORSCHE PRODUCT New Porsche 930 911 Rear Engine Carrier 93037501101 Fitment: 1970-1989 911 1965-1969 911/91..
GENUINE PORSCHE PRODUCT NOS Porsche 930 911 SCRS Aluminium Fender NOS Technical Questions? 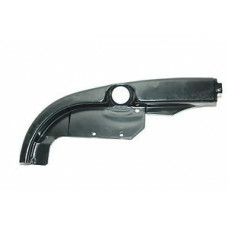 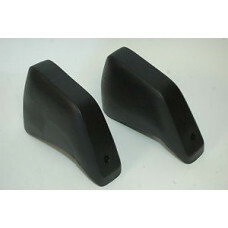 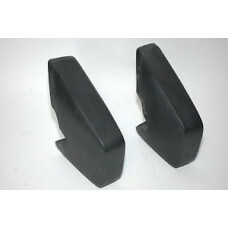 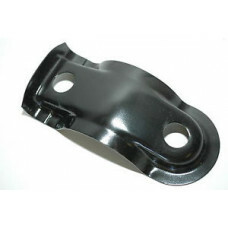 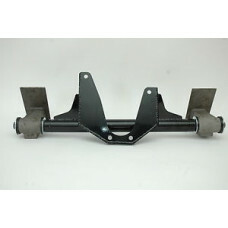 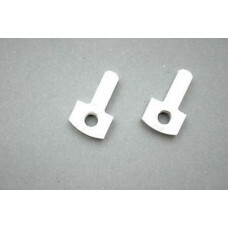 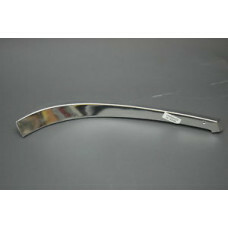 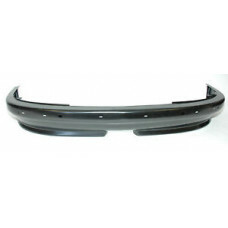 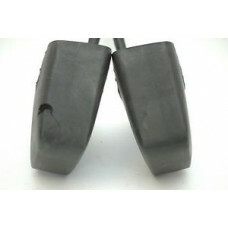 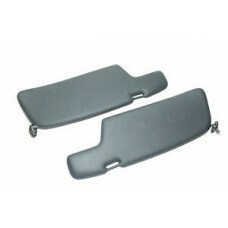 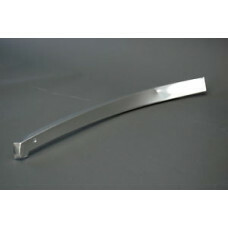 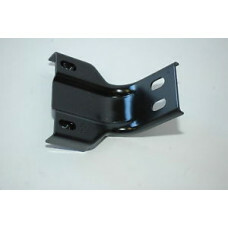 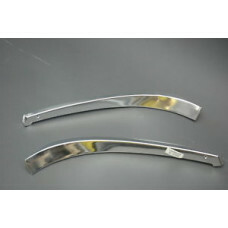 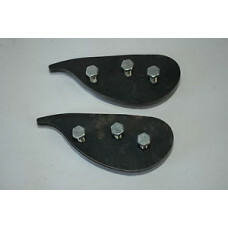 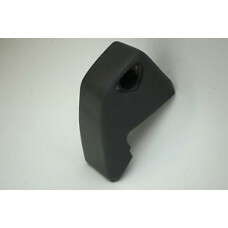 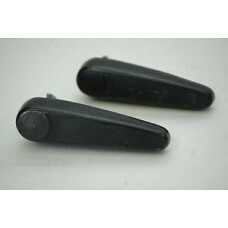 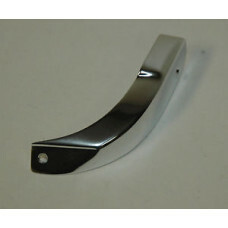 You may contact us @ (323)-660-..
New Porsche 930 911 Tow Hook Guard 91134103702 Fitment: 1974-1988 911 1975-1988 911T ..
GENUINE PORSCHE PRODUCT Used Porsche 930 Bumper Extension L 93050306700 Fitment: 1978-1989 911 1975-1977 911T &nbs..
GENUINE PORSCHE PRODUCT Used 930 Climate Control 93065904900 1 Fitment: 1984-1989 911 ..
GENUINE PORSCHE PRODUCT Used 930 Climate Control 93065904900 2 Fitment: 1984-1989 911 ..
GENUINE PORSCHE PRODUCT Used Porsche 930 Deck Lid Beige Used 93051201008 SS 93051201008GRV Fitment: 1987-1989 ..
GENUINE PORSCHE PRODUCT Used Porsche 930 3.0 Inner Heat Sheild 93051216500 Fitment: 1975-1977 930 3.0 ..
GENUINE PORSCHE PRODUCT Used Porsche 930 Carrera Tail Rubber 91151201900 Fitment: 1975-1977 911T NOTE: needs refi..
GENUINE PORSCHE PRODUCT Used Porsche 930 Early 3.0 Rear Spoiler Air Duct 93051200900 #1 Fitment: 1975-1977 930 3.0 ..
GENUINE PORSCHE PRODUCT Used Porsche 930 Early 3.0 Rear Spoiler Air Duct 93051200900 #2 issues - see images Fitment: ..
GENUINE PORSCHE PRODUCT Used Porsche 930 Early 3.0 Rear Spoiler Air Duct 93051200900 #3 issues - see images Fitment: ..
GENUINE PORSCHE PRODUCT Used Porsche 911 Dash Vent 91157106700 SS 91157106702 Fitment: 1975-1977 930 Turbo &..
GENUINE PORSCHE PRODUCT Reman Porsche 930 Engine Air Deflectors 93010602300 93001062200 93010622100 ..
GENUINE PORSCHE PRODUCT Used Porsche 930 Flare R Rear 93050360800 SS 93050360800GRV Fitment: ..
GENUINE PORSCHE PRODUCT Used Porsche 930 Bumper Extensions 93050306700GRV 93050306800GRV Fitment: 1978-1989 91..
GENUINE PORSCHE PRODUCT Used Porsche 930 Bumper Guard L 93050503701 Fitment: Techn..
GENUINE PORSCHE PRODUCT Porsche 930 Rear Bumper Heat Shield Protection 93050551101 SS 93050551102 Fitment: 1978-1989 930 &..
GENUINE PORSCHE PRODUCT Used Porsche 930 Rear Crossmember 93050108001 NOS Fitment: 1987-1989 930 &n..
GENUINE PORSCHE PRODUCT Used Porsche 930 Rear Spoiler 93051290101 & Deck Lid 91151201056 SS 91151201065GRV ..
AFTERMARKET Used Porsche 930 Rear Spoiler 93051201009 SS 93051201008GRV Fitment: 1978-1989 9..
GENUINE PORSCHE PRODUCT NOS Porsche 930 Rear Wiper Arm 90162861100 NOS Fitment: 1970-1977 911 19..